Creating new waves and setting higher benchmarks in fine-quality living is the proud presentation Gulshan Ikebana Noida, situated in Sector 143 B, which is well connected to the Delhi capital and other areas of Noida. The area plays host of a number of commercial establishments and shipping hubs within close vicinity and hence is a symbol of modern development. The terrain occupies 12.5 acres that creates a joyful ambience set to melt your heart and captivate your eyes as soon as you step into the grand enclosure. 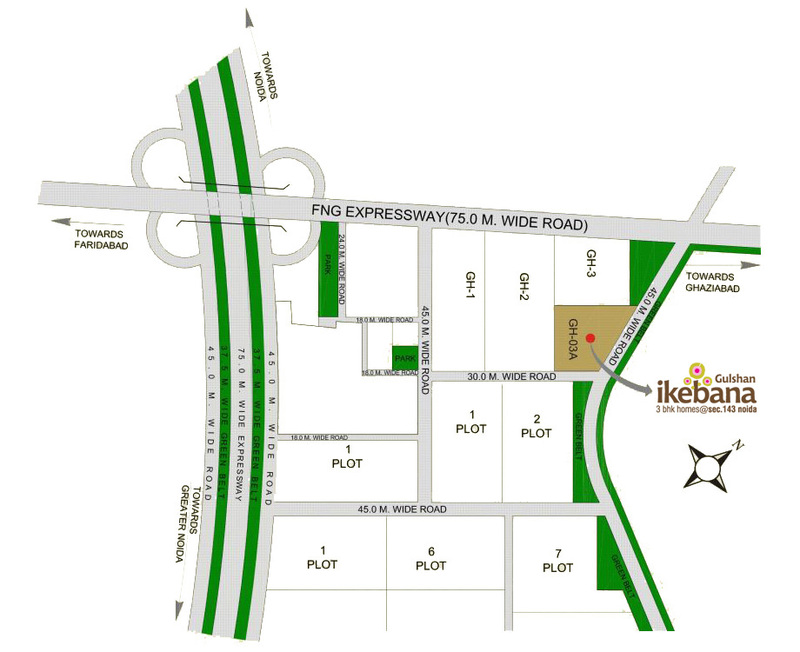 The complex has illustrious homes in 3 BHK formats spanning 1340-1995 sq. ft. areas. There are 20 towers in G+20 floor heights, hence a total of 1444 units to be inhabited. Gulshan Ikebana is a garden of bliss. Exciting features such as karaoke-themed restaurant, coffee shop with smart décor, guest lounge/ party hall, amphitheater, steam room and massage room, all are set to pamper you and cater to entertain your guests, as well as impress them. A club with swimming pool and gym further hone your fitness levels. The elderly can avail wheelchair facility and all have in-house OPD for medical aid. Gulshan Ikebana Price is handsomely affordable, starting at Rs. 5300/- psf. So make a dash for such high-value homes that are set to make your investment grow manifold and also give you a pleasant. Kitchen - Double bowl stainless steel sink. Located at GH-03/A, Sec-143, Noida.